Antonio Delgado explains that twenty-two years ago he arrived from Cuba to Barcelona to pursue a PhD in Artificial Intelligence at the Polytechnic University of Catalonia (UPC). “In my thesis I created a methodology, based on a combination of statistics and Neural networks, and applied it to the energy sector to improve consumption and price forecasts within the electricity market. “Electricity cannot be stored and forecasts are fundamental”. Therefore, in 1999 AleaSoft was founded and was the first company to be created with the Innova program promoted by the UPC, a pioneer in institutional involvement in promoting the creation of startups. The first client of AleaSoft was Endesa: at that time the liberalization of electricity market took place. Later, they started to work for Union Fenosa, Gas Natural, Iberdrola, Viesgo, Red Eléctrica, small retailers, etc. 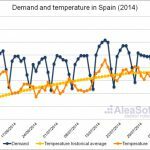 “We also make wind and solar production forecasts… in Spain, consumption mainly depends on temperature. In other countries, such as, the Nordic countries, wind or brightness is the main factor influencing consumption”. 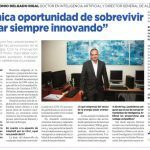 Hourly forecasts, three-day or three-year horizon forecasts, as Delgado explains: “We have been working for 16 years now and our methodology, the combination of statistics tools and Neural networks, is still innovative: it is our competitive advantage. In 2014, with a staff of 15 people (four of them are doctors) in Barcelona, the company had a turnover of 1.2 million euros, with a net profit of half a million, he says. 60% of his business is in Spain, and the rest in Italy, Norway, Belgium, Germany, France and UK. His business model is based on the sales of forecasts or of the forecasting tool. 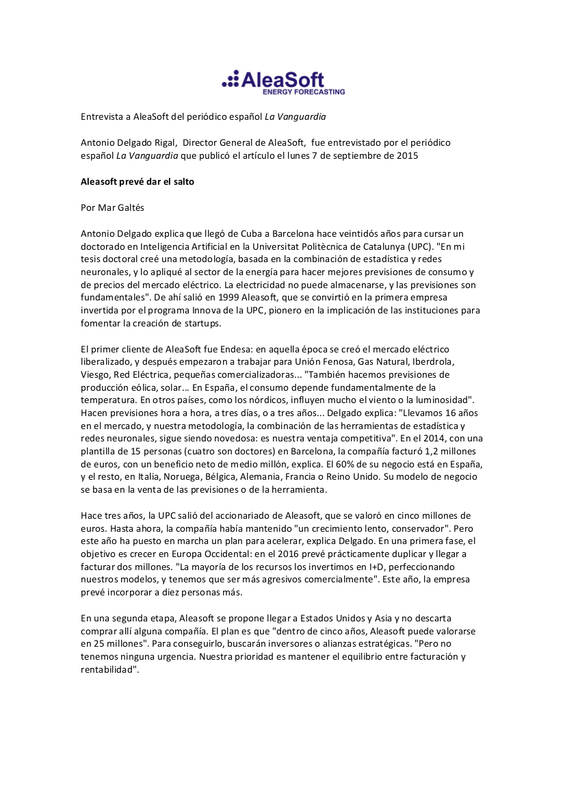 Three years ago, the UPC got out of Aleasoft’s shareholding which was valued at five million euros. Up to now, the company has performed a slow growth, a conservative growth”. But this year it has launched a plan to accelerate it, explains Delgado. In the first phase, the goal of the company is to expand its grow in Western Europe. By 2016 it plans to become double what it is now and have a turnover of two million. “We invest most of our resources in R&D, improving our models, and we need to be more aggressive commercially.” This year the company plans to hire ten more people. In the second phase, Aleasoft aims at reaching the United States and Asia and does not exclude the possibility of buying a company there. The plan is that in five years, AleaSoft could have a value of 25 million. To achieve this, they are going to search for investors and strategic alliances. “But we have no urgency now”. Our priority is to mantain balance between turnover and profitability.